While the City of St. Louis struggled in the 1940’s, employment in St. Louis County was booming. 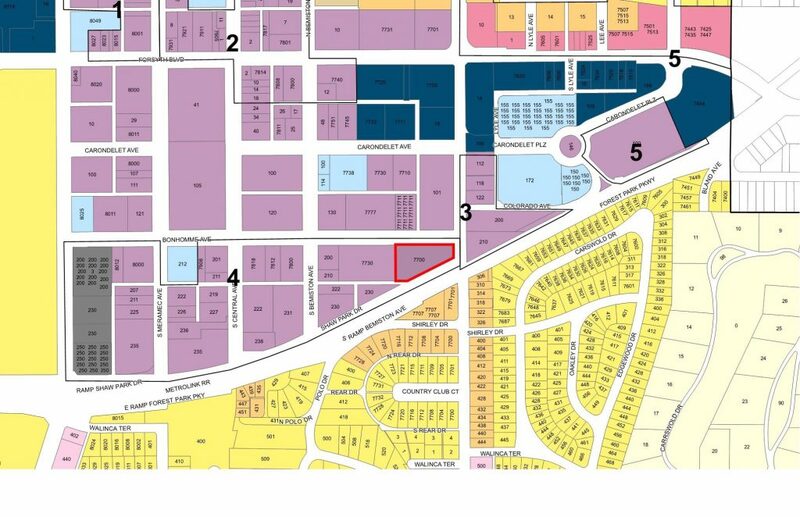 Clayton politicians, aware of the the stagnating central business district in St. Louis City, saw an opportunity for a second business district and in 1952 the central business district in Clayton was rezoned high density commercial. With less restrictions on land use, local companies expanded and new companies moved in and by 1957 height restrictions were abolished. 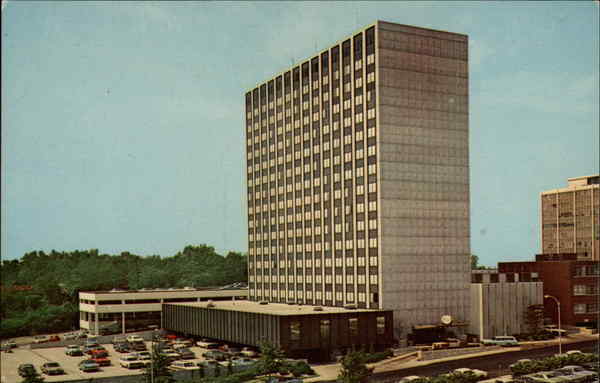 In 1965, 7730 Bonhomme was developed as the Colony Motor Hotel, the tallest building in St. Louis County at that time. 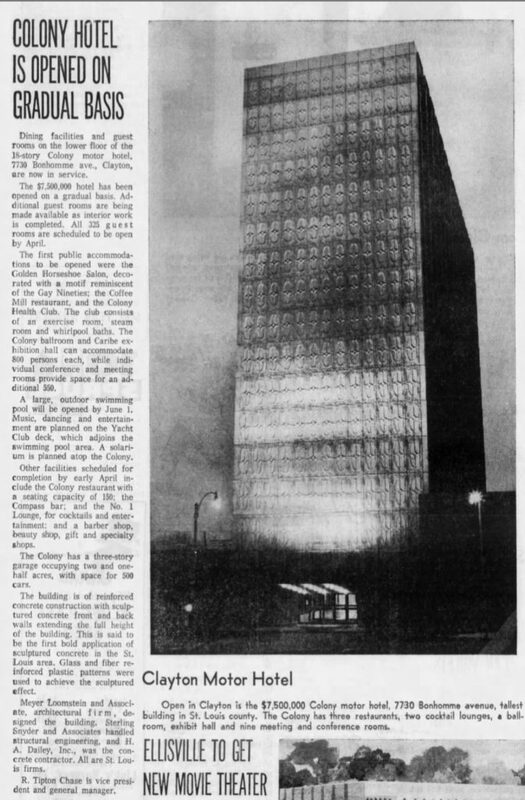 Since then, more than 20 buildings taller than the Sheraton have been constructed. 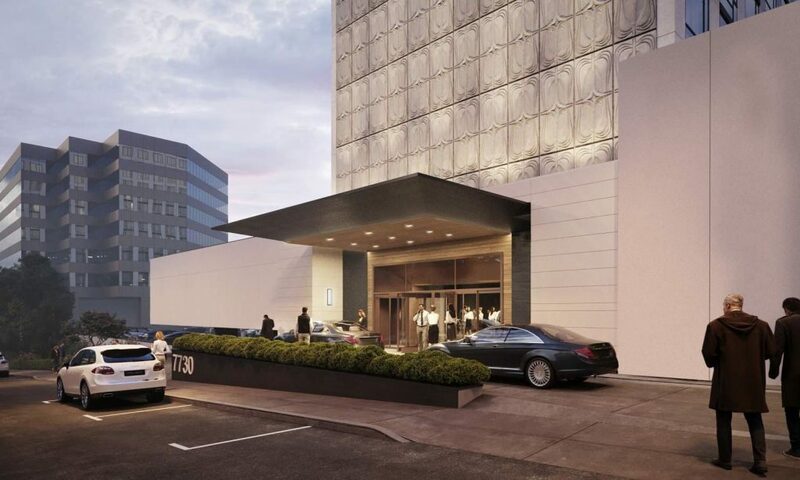 Today the property has new owners, SilverWest Hotels, who have submitted plans to the City of Clayton for a $19,800,000 renovation to the Marriott branded Sheraton Clayton Plaza Hotel. 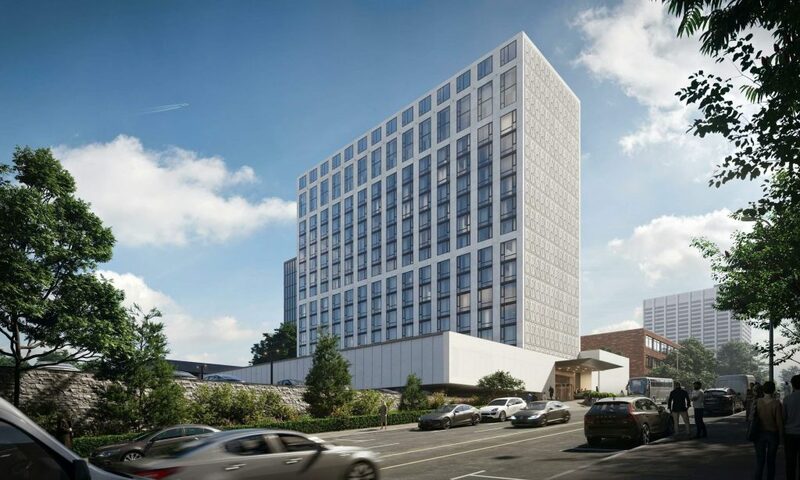 The proposal for the hotel, designed by HOK, is extensive. Inside, all 259 guest rooms will be renovated along with the public areas, lobby and storefronts. Exterior modifications will also be significant. New energy efficient charcoal gray aluminum window walls and an updated facade will be illuminated by an impressive new lighting system. From the ground level the property will receive an entirely new facade, drop off area, windows and landscaping. 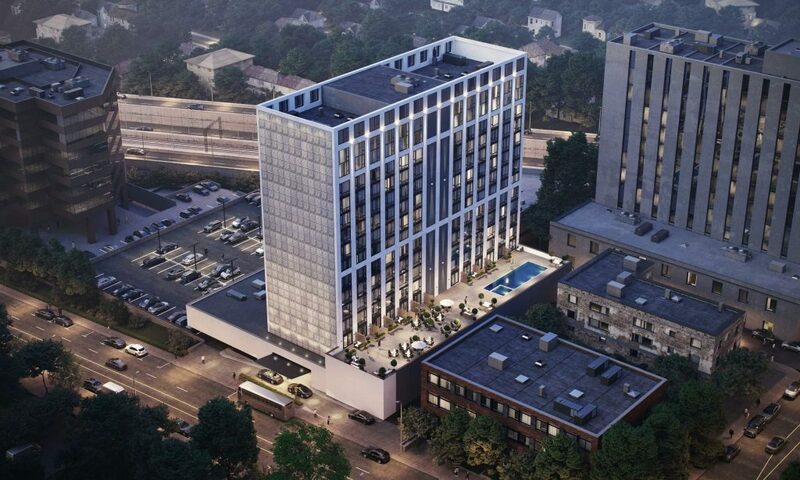 And on the rooftop, the enclosed pool will be removed and replaced with an all new outdoor pool and pool deck.